Lyric Stage Cast, 2015 (PS Classics, 2CDs) (4 / 5) At last. The New York City Center Encores! 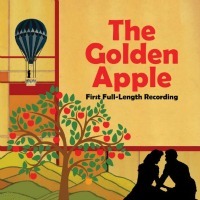 series didn’t get around to The Golden Apple until May 2017, but the Lyric Stage of Irving, Texas beat them by two and a half years. This live recording of that production, culled from four performances in the fall of 2014, fully captures the work’s brilliance and one-of-a-kindness. It’s close to note-complete, beautifully engineered, and splendidly conducted by Jay Dias. It includes the superior original finale, which the Broadway show and cast album producers scuttled in favor of a more audience-friendly reprise of “It’s the Going Home Together.” And the cast of unknowns is mostly terrific. Christopher J. Deaton’s performance as Ulysses is as well acted as it is sung, and Kristen Lassiter as Penelope does wonderfully by “Wind Flowers.” Danielle Estes’ Helen isn’t as earthy as Kaye Ballard’s, but she’s fine and flirty. James Williams has the right attitude for Hector, if not much voice and a tendency to overindulge in Sprechstimme. The orchestrations by Moross and Hershy Kay never sounded so glorious, and the live recording is clear down to the last lyric, though the placid audience seems to be missing a lot of the jokes. Latouche’s genius required so full a recording to be truly appreciated, as did Moross’s unique musical vocabulary (he really liked flatted sevenths). The complete libretto is included in the CD package, as are several appreciative essays. 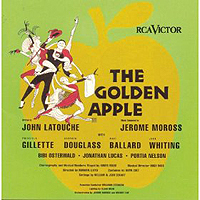 If this isn’t a perfect Golden Apple cast album, it’s very good, and the best we’re likely to get. — M.M.